The only one of these guys I recognized right off the bat was Thomas Eshelman (03/49), who the Astros drafted in the 2nd round, then dealt to Philly in the Ken Giles trade. That's one hell of a patch on the Cordell Dunn Jr. (17/25). The rest of these guys, I haven't taken the time to look up. 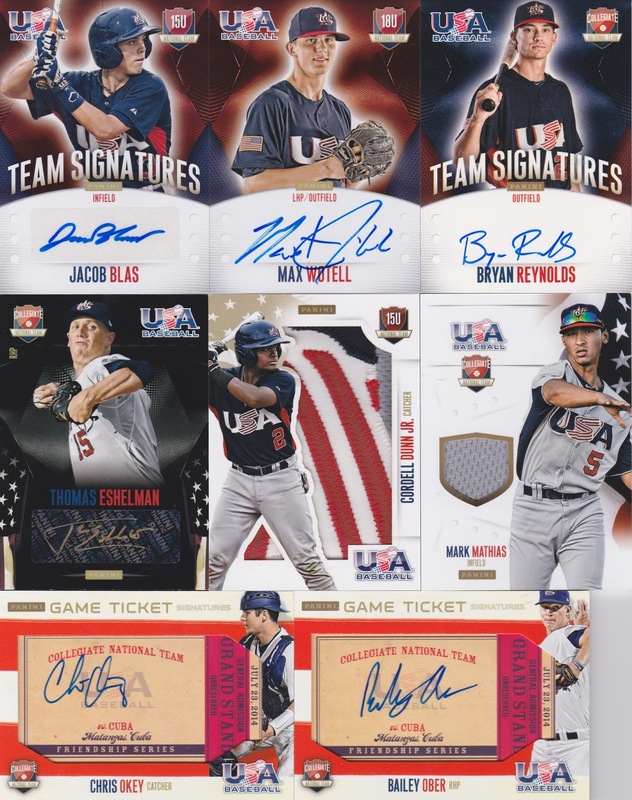 The highlight of these hits to me are the "Game Ticket" signatures, they just look cool, are nice & thick and highlight the "Friendship Series" with Cuba in July of 2014. All of these are for trade/sell if anyone is interested. I couldn't have asked for a better hit. Sorry it's a little blurry, I kept it in the mag case when I scanned it. 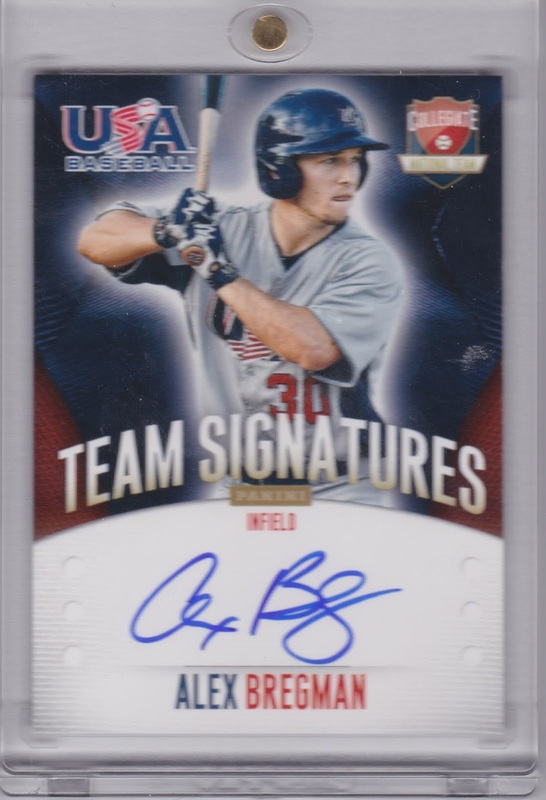 This is my first and only Alex Bregman autograph and it's on card. And I pulled it myself, there's just something so much more satisfying and fun when you pull it yourself, right? 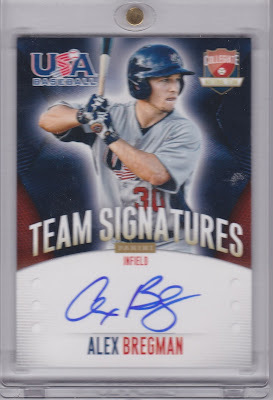 This one is numbered 176/399, so not exactly rare/low numbered but I'm not complaining, it's Alex Bregman! 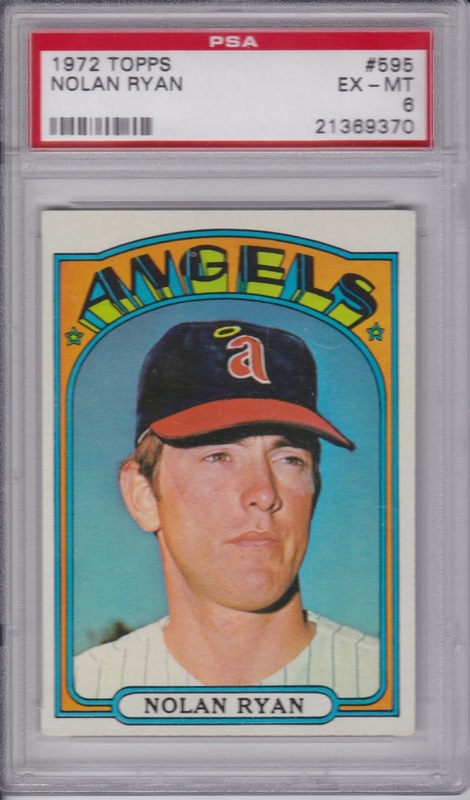 Final card for this post is a graded card that I picked up from the shop. 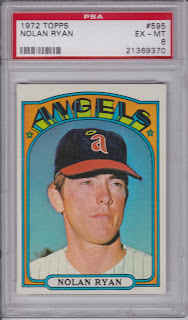 I've been wanting to add more vintage graded stuff to the PC and for the price, I felt it was a fairly good pick up. Next post, I'll delve into the other cards from the case of Prime Cuts. There are lots of good cards still to show from that case. That product has tons of good rookies and HOF'ers. Congrats on the Bregman pull. He's a keeper in my dynasty league and I'm hoping for big things for him. Bregman is a stud! Congrats on the pull and glad to see you blogging again! Great pull on Bregman, but that Dunn card is AMAZING!